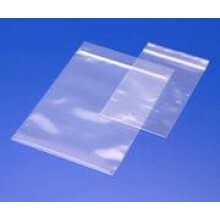 All of our grip seal bags are made out of High Quality Polythene and come in 17 different sizes. All bags are available for both small and large orders. These bags are perfect for sending out orders in, protecting small objects, fishing, general storage and even stamp collecting! These bags can be used for almost anything, be it for business or personal use. From 0.6p per bag! .. Remember the price you see is the total price you pay it includes VAT and Free.. Remember the price you see is the total price you pay it includes VAT and Free DeliveryBag width = 5.. Remember the price you see is the total price you pay it includes VAT and Free DeliveryBag width = 7.. Remember the price you see is the total price you pay it includes VAT and Free DeliveryBag width = 8.. Remember the price you see is the total price you pay it includes VAT and Free DeliveryBag width = 1.. Remember the price you see is the total price you pay it includes VAT and Free Delivery Bag width =.. Remember the price you see is the total price you pay it includes VAT and Free DeliveryBag width = ..